You are here: Home / Health / In 2019, Are the Days of Roe v Wade Numbered? 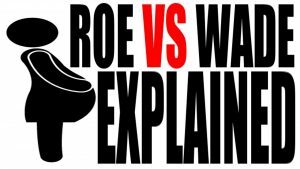 In 2019, Are the Days of Roe v Wade Numbered? (ThyBlackMan.com) A verse in the Bible says, “They meant it for evil, but God meant it for good.” Who could have imagined that God would transform the following three attacks on the unborn into a blessing for the pro-life movement. Fake news media faces a lawsuit for false reporting which caused the high-tech lynching of the Covington high school students who attended the 2019 March for Life. https://bit.ly/2RLbczD New York legislators gave a standing ovation to killing babies on the date of birth. The governor of Virginia sought to legalize killing babies after birth. These 3 attacks have made Americans more aware of Democrats’ culture of death and war on the unborn. Abortion is front and center on the international political stage. Since the Roe v Wade abortion on demand decision in 1973, 60 million babies have been killed. Pro-lifers are passionately energized to challenge Roe v Wade. Praise God! Carrie Fischer was aborted in 1968. Born 6 months later, the failed abortion caused Carrie to be partially paralyzed and facially disfigured. As a little girl, 5-6-7 years old, Carrie had reoccurring dreams of a baby in a womb fighting for her life; trying to get away. Carrie said she felt the baby’s pain and heard her screams. At age 13, Carrie learned that the baby was her. A relative told Carrie her mother tried to abort her. When Carrie confronted her mom who raised her, she confessed and wept deeply. When the abortion failed, Carrie’s mother said she was filled with regret and shame. Carrie and her mom are best friends. My friend, radio show host (Radio Patriot) Andrea Shea King shared her story with me. Pregnant and unwed at age 15, Andrea chose giving her son up for adoption rather than abortion. Forty-two years later, Andrea received a phone call from her son which led to a heartwarming reunion. Andrea met her daughter-in-law and her grand-kids. Her son is also a conservative like Andrea, his mom. Download the song, adding it to your play-list. Share it and encourage others to do the same, in defense of the sanctity of life. With abortion zealots outrageously seeking to legalize killing babies even after they are born, a compassionate pro-life song is needed more than ever. Proverbs 4:7 Wisdom is the principle thing; therefore get wisdom. But with all that getting, get understanding.